Incl. all day air, 500 paintballs per player, & deadbox snacks! Private parties! Birthdays, graduations, whatever! 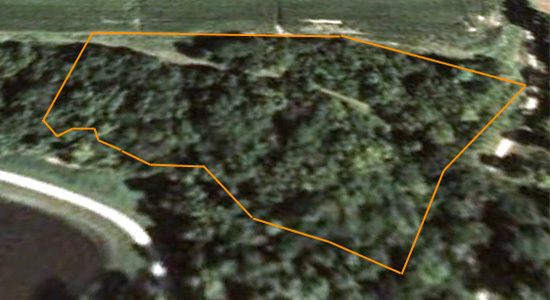 Our paintball field is a 7 acre woodsball field currently in development just North of The Barn. The FireStorm Team is working hard all summer long clearing brush, building bunkers, and building at least one new major fort in the heart of the woods. All FireStorm paintball events are field paint only. With our new high pressure air compressor, we are able to refill in-hydro HPA paintball tanks up to 4500 psi. However, we do not normally keep CO2 at the site, and therefore at this time we are only able to refill CO2 tanks at our pre-planned scenario events. At all other events, whether run by our staff or personal events, please have your CO2 tanks filled prior to the game as we will be unable to fill the tank on site. As our field is still in development, we are not holding regular hours. We will be having various Cleanup & Free Play Days throughout the summer where a little elbow grease can be traded for a few hours of free play. If you help participate on these days, you'll have a better understanding of every corner of our field, which could be a major advantage in future events. Also, we generally have some fun afterwards. Keep checking this page or join us on Facebook to stay up-to-date on all the upcoming Cleanup & Free Play Days. The field boundaries are loosely represented by the orange lines on the map. On the North side, the boundary is the crop field. On the East side, the boundary is the creek. On the South side, the boundary is the creek, and on the West side the boundary is marked by a line in the woods. Players may enter the creek and will still be inbounds. The opposite side of the creek bed is strictly out-of-bounds. Do not be fooled by the overhead view: this field is very large and full of thick foliage. We are currently conducting clean-up-days at various times to remove some of the brush, thorns and small trees, as well as other hazards. Please CONTACT US if you wish to help out, to find out when the next clean-up-day will be held. If time and weather permits it, we usually end up playing a little after we're done for the day. Bring your gear.